You never know when illness or injury might strike, and prevent you from working for an extended period of time. How long could you survive without an income? Protect your income now before it’s too late. Cash Bonus when you apply for cover online. New World gift card when your policy is issued. Discount for Life Cover + one other benefit. Income protection insurance is a policy which pays a monthly benefit if you are unable to work in your own occupation due to illness or injury. The benefit starts after a waiting period which you choose, and is paid for a period of time which you choose. Income protection insurance provides you with an income to enable you to meet your commitments and your living expenses, and for the upkeep of any dependants you might have. It provides an essential source of income well after standard sick leave entitlements have been exhausted. Monthly payment of up to 75% of gross income. Cover for both illness and accident (ACC top-up). 24 x 7 worldwide cover – no country exclusions. Increases in cover available every 3 years with no medical. Future policy enhancements automatically included. Free interim cover while your application is being processed. You can claim a tax deduction each year for your income protection insurance premiums, so your net cost is as much as 33% less than the actual premiums which you pay. The policy is underwritten by Sovereign, New Zealand’s largest life insurer. Sovereign has an A+ (Superior) financial strength rating from A.M. Best Company, the highest rating of any life insurance company in New Zealand. Receive a benefit of up to 75% of your gross earnings if you are unable to work in your own occupation due to illness or injury, for a period of up to two years, five years, or through to age 65. Receive a partial income protection benefit if you have been totally disabled for 2 weeks or more and you then return to work in a reduced earning capacity. Any partial disability benefit you receive will be enhanced by up to 25%, payable for up to 12 months, if you have first been receiving a total disability benefit. Receive an additional benefit of up to 12 times your total disability benefit to cover the costs of a vocational training program to assist you in an early return to work. Receive a bonus back to work lump sum of 3 times your monthly disability payment when you return to full-time work after 12 months of receiving disability payments. Your waiting period will be waived if you become totally disabled again from the same or a related cause within 6 months after your disability benefit ceases. Receive an additional lump sum payment of up to six times your monthly total disability benefit to cover the costs of buying specialised equipment or for completing necessary home alterations. Your premiums will be waived during any period in which you receive a total or a partial disability benefit, if you have first been totally disabled for longer than your chosen waiting period. Whether you’re at home, or travelling or working anywhere overseas for a period, you remain covered for both partial and total disability income protection benefits. At every third policy anniversary date, you can increase your cover by up to 10% of the original cover amount (maximum of $12,000 per increase), without any medical questions, examinations or tests. An increase in premium will apply. If any change is made to the underlying policy in the future, and that change would be favourable to you, then guaranteed enhancement means that the change will automatically be applied to your policy. If at any time during the 15 days following receipt of your policy you don’t wish to continue with your cover (for whatever reason at all), you can return your policy for a full refund of all premiums paid. You can choose to add optional redundancy cover to your income protection insurance benefit. Like the income protection benefit, the redundancy benefit expires at age 65. To learn more about the redundancy benefit, please see the policy wording. Check out the FAQs for answers to frequently asked questions. View or download a copy of the policy wording. Apply online today to be eligible for a 25% Cash Bonus, a $100 New World Gift Card (minimum premium required) and 3x Airpoints Dollars™. Plus, get a 10% Discount every year for any policy which includes either Life Cover for two people or Life Cover for one person plus at least one other eligible benefit (minimum cover and premium criteria apply). The above identifies and provides a brief summary only of the principal benefits under the policy. Please refer to the policy wording, including the policy appendix and schedule, for full details of all the benefits and the terms and conditions under which they are provided. If you take out a policy through KiwiCover by 30 April 2019, we will make an up-front, lump sum cash payment to you equal to 25% of your total first year’s premiums. Your Cash Bonus will be credited to your bank account on the day your policy is issued. For example, if your premium is $50 per month, your Cash Bonus will be $150, which is equal to 25% of your annual premiums ($50 × 12 months × 25% = $150). iii. A resulting policy must be issued by Sovereign on or before 30 June 2019. 2. Sovereign Private Health policies are not eligible for the Cash Bonus. 3. The Cash Bonus will be calculated on your total first year’s premiums for the policy, including any policy fee and any premium loading, and will be paid up-front in full when your policy is issued. 4. The Cash Bonus will be paid in the first year of the policy only, and not in subsequent years. 5. The Cash Bonus will be credited to the specified bank account for premium payments for the policy, or if you have specified a credit card for premium payments, to a bank account which you nominate. 6. If the policy is discontinued for any reason before 12 months’ premiums for the policy have been paid, you must immediately repay the Cash Bonus to us in full. 7. Sovereign, its employees and agents, and KiwiCover, its employees and agents, are not liable for any claims, damages, injuries, costs and expenses suffered, sustained or incurred (including but not limited to those which are indirect or consequential) as a result of, or arising out of, or in any way connected with this promotion. 8. KiwiCover reserves the right (subject to any applicable law) to vary, suspend or terminate this promotion and these Terms and Conditions at any time. 9. In these Terms and Conditions “Sovereign” includes Sovereign Assurance Company Limited and Sovereign Services Limited, “KiwiCover”, “we” and “us” means KiwiCover Insurance Limited, and “you” and “your” means the policy owner(s) of the policy. 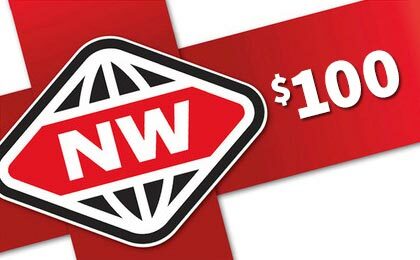 If you take out a policy through KiwiCover by 30 April 2019, we will send you a $100 New World gift card. Your gift card will be mailed to you within 21 days from the date on which your policy is issued. v. The policy must be in force with no outstanding premiums at the time the gift card is due to be sent. 2. There is a limit of one gift card per policy, irrespective of how many individuals are insured on the policy. The gift card will be mailed to you at the correspondence address specified for the policy within 21 days from the date on which your policy is issued, separately from your policy document pack. No replacement gift card will be issued if the gift card is lost or stolen. 3. If the policy is discontinued for any reason before 12 months’ premiums for the policy have been paid, you must immediately return the unused gift card to us or repay the face value of the gift card to us in full if it has been used by you or by any other person. 4. Sovereign, its employees and agents, and KiwiCover, its employees and agents, shall not be liable for any claims, damages, injuries, costs and expenses suffered, sustained or incurred (including but not limited to those which are indirect or consequential) as a result of, or arising out of, or in any way connected with this promotion. 5. Use of the gift card is subject to any additional terms and conditions specified by New World including, but not limited, to expiry dates. 6. KiwiCover reserves the right (subject to any applicable law) to vary, suspend or terminate this promotion and these Terms and Conditions at any time. 7. In these Terms and Conditions “Sovereign” includes Sovereign Assurance Company Limited and Sovereign Services Limited, “KiwiCover”, “we” and “us” means KiwiCover Insurance Limited, and “you” and “your” means the policy owner(s) of the policy. Life Cover for one person plus at least one other eligible benefit (e.g. Living Assurance, Progressive Care, Income Protection, Total Permanent Disablement, Family Protection). The policy must have a total premium before the 10% discount of no less than $89.49 per month ($41.31 per fortnight or $20.66 per week). 1. You will receive a 10% discount, on the usual applicable premium payable (excluding any policy fee and any per mille loading), on all benefits issued under the policy, for the life of those benefits. v. The policy must have a total premium before the 10% discount of no less than $89.49 per month ($41.31 per fortnight or $20.66 per week) including the policy fee but excluding any per mille loading. 3. Increases in cover under an existing policy will only be eligible if the benefits are issued under a new policy and all lives insured and benefits under the new policy have been fully underwritten. 4. Sovereign Private Health policies are not eligible for the discount. 5. Sovereign reserves the right to decline any application or exclude any eligible policy at its reasonable discretion. Sovereign will not be liable for any policy and/or benefits which are declined, excluded, not proceeded with or not issued during the eligible period due to Sovereign’s application review and underwriting processes. 6. Sovereign reserves all contractual rights under its policies to amend underlying premium rates to which the discount applies. 7. The discount will not be applied to any existing policies or benefits owned by you. 8. This discount promotion is being run by Sovereign Services Limited with its head office at 74 Taharoto Road, Takapuna, Auckland. 9. All questions regarding eligibility for this promotion, these Terms and Conditions, or any dispute which arises in connection with this promotion should be addressed to Sovereign for resolution. Sovereign will have the final decision should any dispute arise. Sovereign’s decision is final and no correspondence will be entered into, including in the event of a dispute. Failure by Sovereign to enforce any of its rights does not constitute a waiver of those rights. 10. Sovereign, its employees and agents, and KiwiCover, its employees and agents, shall not be liable for any claims, damages, injuries, costs and expenses suffered, sustained or incurred (including but not limited to those which are indirect or consequential) as a result of, or arising out of, or in any way connected with this promotion. 11. Sovereign reserves the right (subject to any applicable law) to cancel, terminate, modify or suspend this promotion and/or these Terms and Conditions at any time. 12. In these Terms and Conditions “Sovereign” includes Sovereign Assurance Company Limited and Sovereign Services Limited, “KiwiCover” means KiwiCover Insurance Limited, and “you” and “your” means the policy owner(s) of the policy. Buy or hold an eligible Sovereign insurance policy between 30 November 2018 and 30 April 2019 and earn 3x Airpoints Dollars™ on premiums paid for 3 months from first premium payment. 1. The 3x Airpoints Dollars™ Promotion (“Promotion”) is conducted by Sovereign Services Limited, (“Sovereign”) 74 Taharoto Road, Takapuna, Auckland 0622, New Zealand. 2. The Promotion commences at 9am on 30 November 2018 and closes at 11:59pm on 30 April 2019 (“Promotion Period”). c. Comply with Sovereign’s policy terms, conditions and underwriting criteria. New customers who have applied and signed the policy application during the Promotion period in relation to an Eligible Product and Benefits, will earn 3 Airpoints Dollars per $100 of premium paid on that Eligible Product and Benefit for three (3) months from their first premium payment. The policy must be issued before 31 May 2019 to be eligible for the Promotion. Existing customers who have a policy with Eligible Products and Benefits will earn 3 Airpoints Dollars per $100 of premium paid during the Promotion Period, from the date that the customer’s Airpoints details are added to the policy. 4. For the purpose of this Promotion, policy fee and any GST paid with the premium will be included in the Airpoints Dollars calculation. Products underwritten by Sovereign but distributed by ASB Bank, IAG New Zealand or any other distribution partner, are not included. 6. Airpoints Dollars earned during the Promotion Period will be accrued to the Airpoints account associated to the Airpoints membership number registered on your eligible policy with Sovereign. General terms and conditions attached to earning Airpoints Dollars through Sovereign can be found at www.sovereign.co.nz/airpoints.html. 7. Sovereign will not be liable to any person for any damage, loss or injury in connection with the Promotion. 8. Sovereign’s decision on any matter regarding this Promotion will be final and no correspondence will be entered into. 9. Sovereign reserves the right to terminate or amend any aspect of the Promotion without notice. 10. Sovereign takes no responsibility for any misdirected, lost, incomplete, damaged, corrupted, incorrectly submitted or late applications, or any human error, technical malfunctions, lost or delayed data transmission, computer or network failure, or any other interruption that may affect the conduct of this Promotion. 12. Should a conflict arise between policy owners when registering for Airpoints, Sovereign will require an Airpoints Application form to be completed and signed by all policy owners.